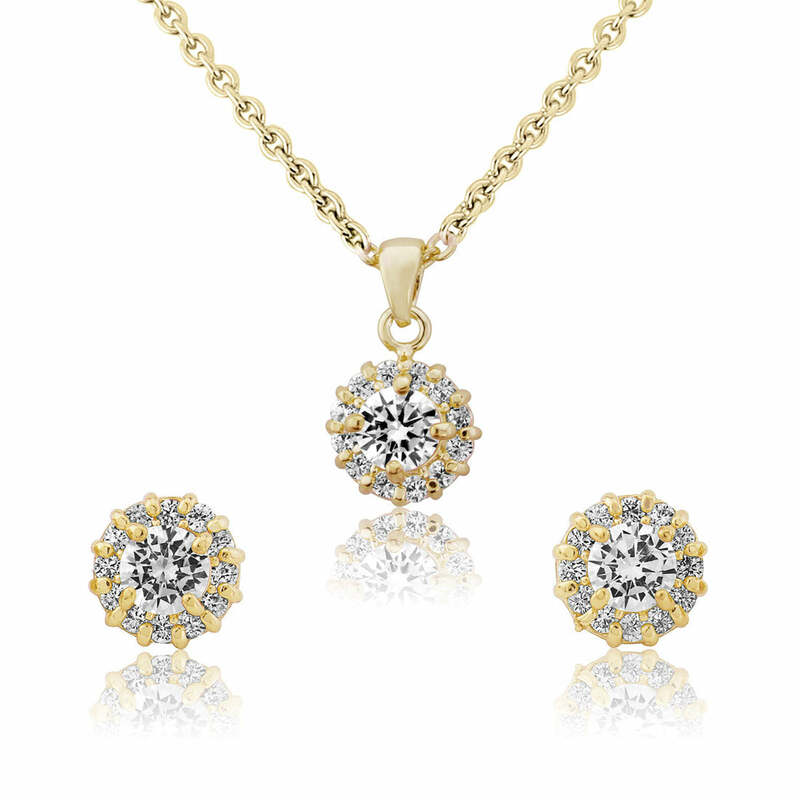 A dainty gold jewellery set featuring a cubic zirconia drop pendant with coordinating stud earrings. The epitome of understated glamour with a touch of vintage charm. Chic and understated, Golden Starlet Jewellery Set is a must-own. Featuring a dainty gold pendant with sparkling single cubic zirconia centre surrounded by petite crystals and coordinating stud earrings, this sensational duo could easily be mistaken for precious diamonds. 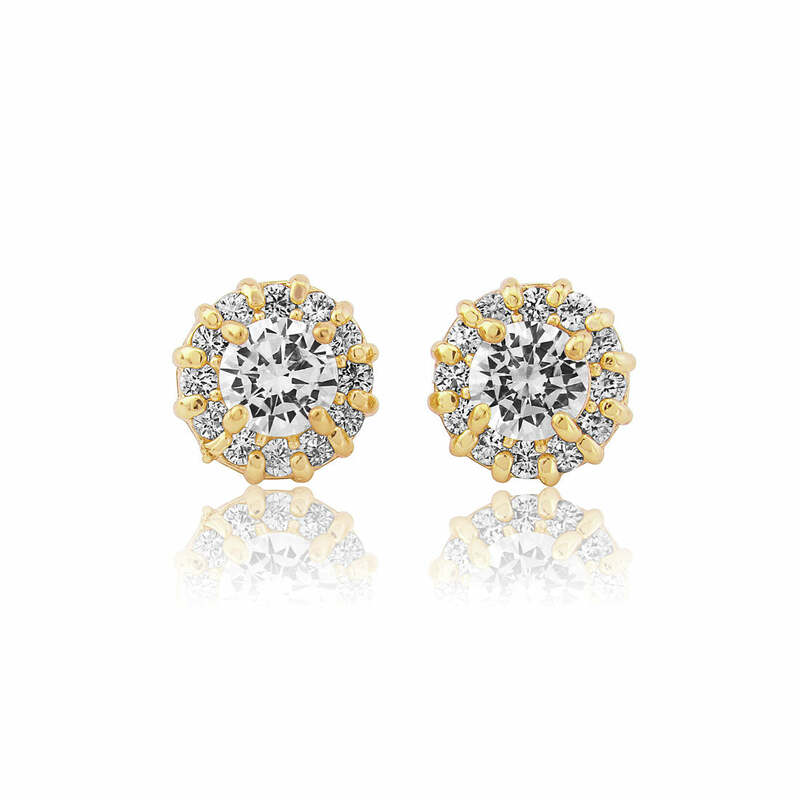 If you are a fan of delicate jewellery pieces, Golden Starlet will not disappoint. With a touch of vintage charm, this fabulous set will compliment an array of styles. It will not look out of place sparkling at a black tie ball, accessorising a city suit or adding the finishing touch to a romantic dinner date outfit. An exquisite bridal jewellery set which will enhance gold detail on an elegant gown or accentuate a cream or metallic wedding theme. 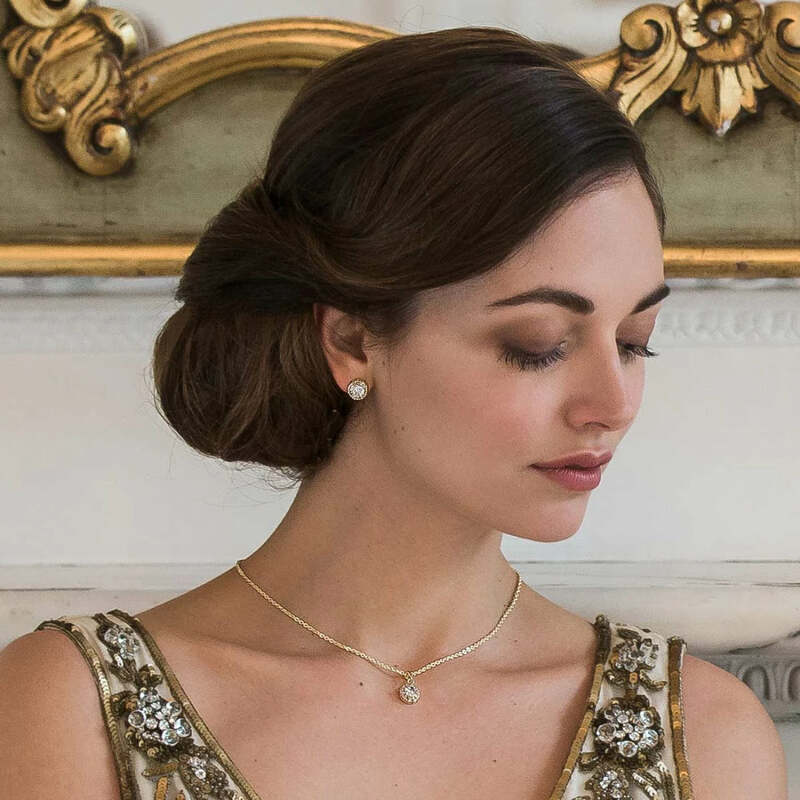 If you are looking for bridesmaids’ gifts these pieces are sure to capture their hearts and be worn for years to come.